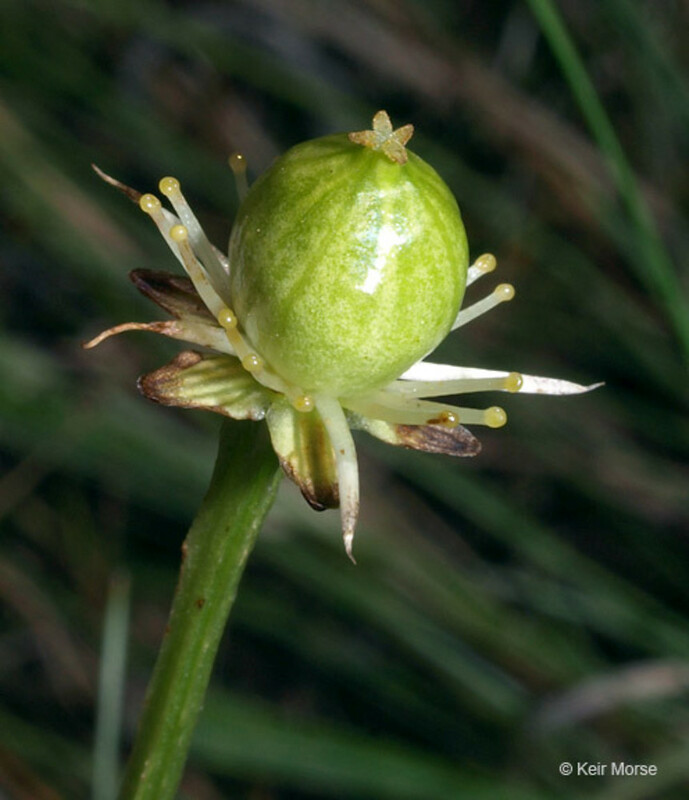 Parnassia glauca has an attractive and interesting flower. 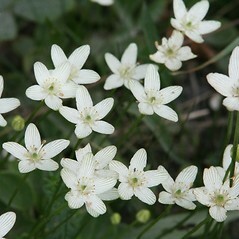 There are five sterile stamens (called staminodes) that each have three prongs (giving the appearance of 15 sterile stamens). 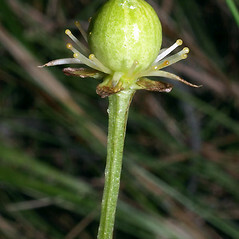 At the tip of each prong is a small, yellow spherical structure that resembles a drop of nectar. 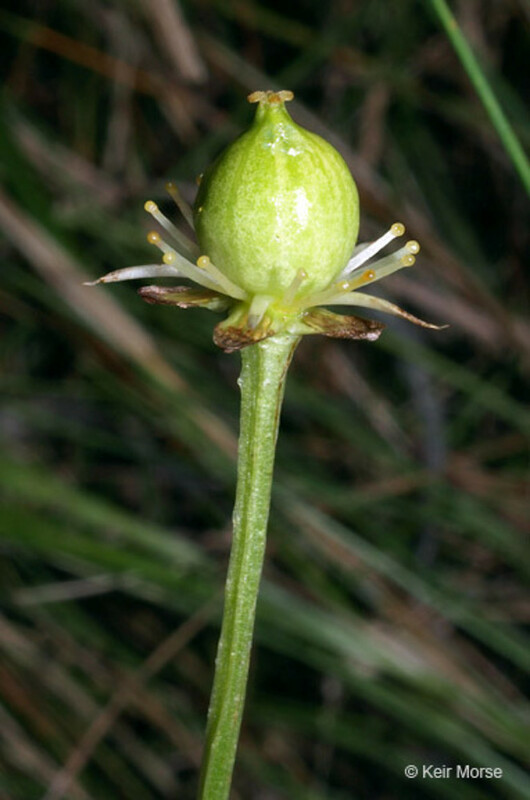 The petals have striking green veins that act as guides to direct pollinators during visitation to the flower. 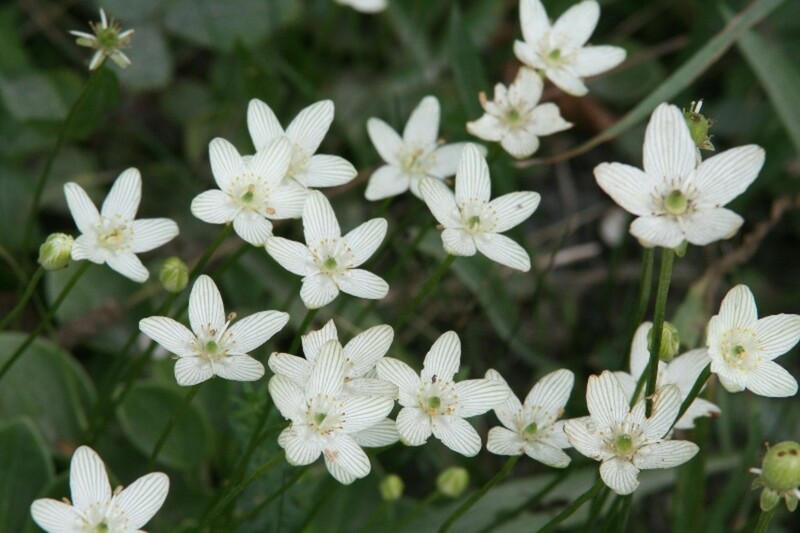 fen grass-of-Parnassus. 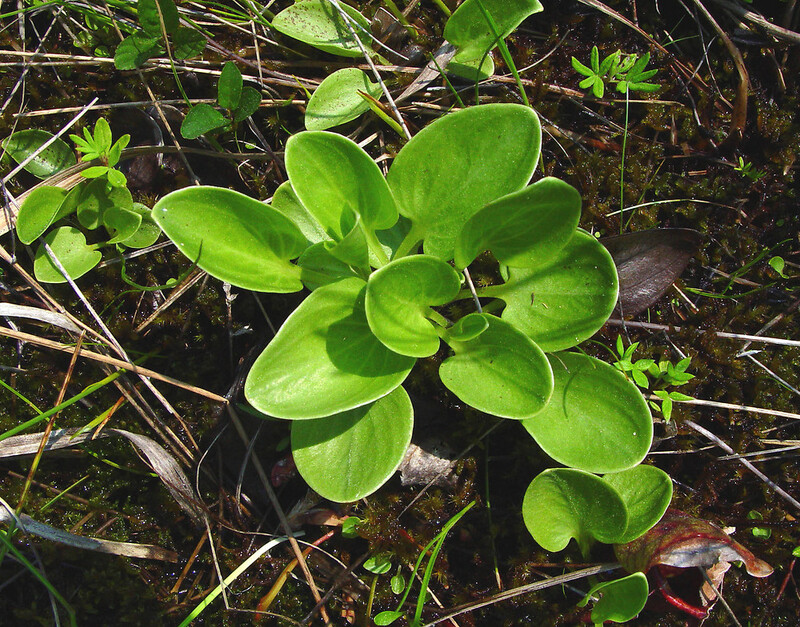 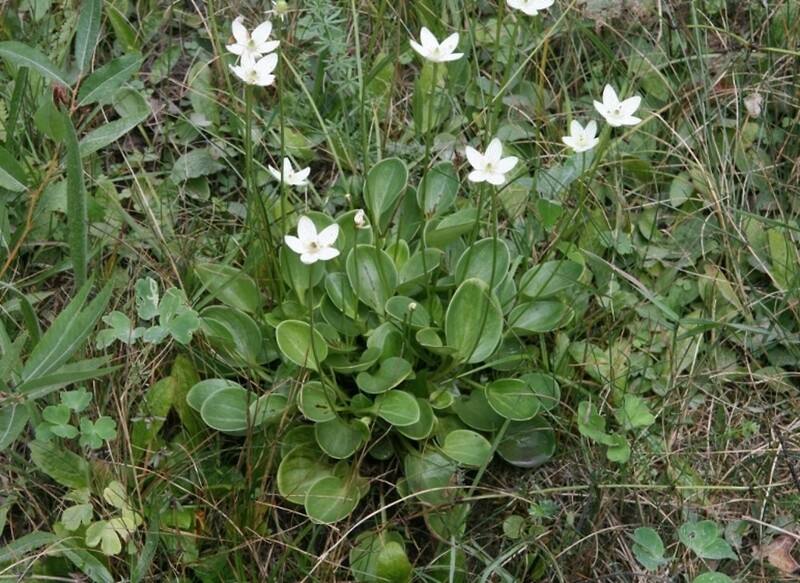 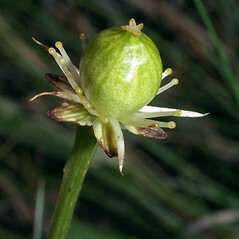 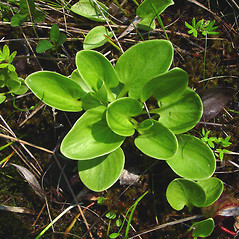 Parnassia americana Muhl. 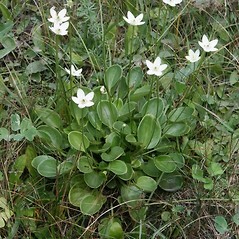 • CT, MA, ME, NH, RI, VT. Fens, river shore seeps, wet meadows, rarely also found on wet lawns and in ditches, usually in high-pH bedrock regions.